Chairman of the Board of Directors of the Business Bank 1980-1985, 1988-1997. Chairman of Al Ahlia Commercial Centers (2007-2008). Vice Chairman of the Board of Directors of Tourism Business Company (1997-2009) and (2011 – till now). 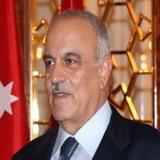 Chairman of the Board of Directors of Ahli International Bank (1997-2009) and (2011 – till now). Vice Chairman of Arab International Hotels (2000-2009) and (2011 – till now). Chairman of Al-Arab Al-Youm newspaper (1999-2009).